Here is a list of best free Integral Calculator Software to solve integrations. These integral calculator can be used to calculate and solve definite integrals and indefinite integrals. You can also use it to solve differential and integral equations. Other than calculating simple integration, these Integral calculators can also calculate and solve multiple integrals, like: double integration, triple integration, and so on. Step by step method of solving the integration is displayed. Graph of the functions and results are also displayed in some cases. These integration calculators use different methods and algorithms to calculate integrals. So, in such cases you need to have an idea of algorithms and different methods used to solve Integral Calculus. Different methods have some benefits as well as some demerits. Some take longer time to calculate the integrals, while others take less time. Some methods of integral calculation provide more accurate results than others. So it is necessary to use appropriate values, appropriate methods, and appropriate algorithms in order to get the best results. Out of all these free Integral Calculator Software, I like Microsoft Mathematics the most. It is due to the fact that, it is quite simple and easy to use and require no extra work on your part. 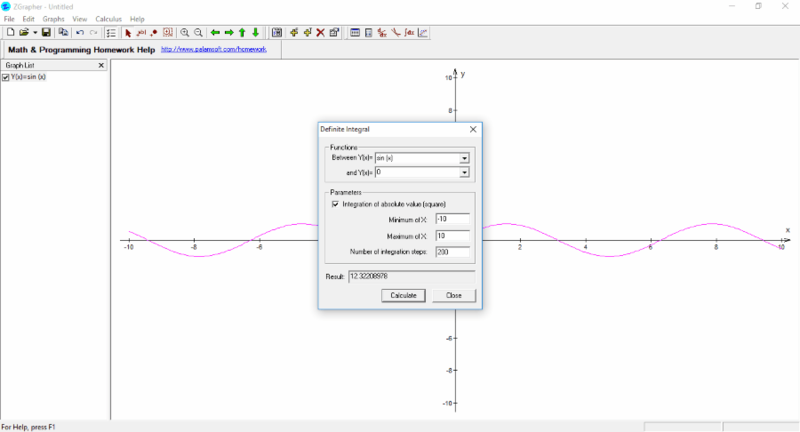 This freeware can calculate both definite integrals as well as indefinite integrals. Microsoft Mathematics can also be used to calculate derivative, double derivatives, and multiple derivatives. A step by step explanation of the process involved in Integration solving are also displayed. Also check out the list of best free Derivative Calculator for Windows, Geometry Calculator Software for Windows, and Best Free Math Software. 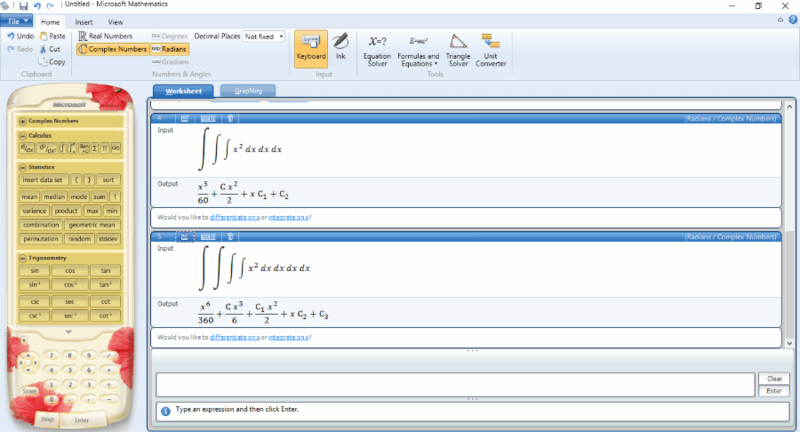 Microsoft Mathematics is a good and simple option to use as a freeware integral calculator. It can be used to perform both indefinite integration, and definite integration of a function. You can also use this integral calculator as a double integral calculator and multiple integral calculator. It displays the process involved in calculation of integrals. It can also be used to solve graph of an equation. Microsoft Mathematics can also be used as a derivative calculator and double derivative calculator. This calculus solver can also be used to find out Limit of a function, sum of series, product of series, and work with terms containing infinity. WordMat is a good freeware that has a number of tools to perform mathematical calculations. It can be used as an Indefinite Integral Calculator and Definite Integral Calculator. Enter the expression that you want to integrate and the variable with respect to which it is to be integrated. In case you wish to perform indefinite integration, leave the checkbox of Definite Integration unchecked. In case of calculation of Definite Integration, select the checkbox for Definite Integration. Also specify the range of calculation. In case you wish to enter special character, you can also do so by clicking Special button. You can also choose the option of numerical integration and choose any of the two methods from the options: Quadpack or Romberg. There are various other Calculus Calculator options available, like: Risch Integration, differentiate, find limit, find minimum, Laplace Transform, Inverse Laplace Transform, change variable, get series, Pade Approximation, calculate sum, calculate product, calculate LCM, calculate GCD, etc. FunctionalCalculator is a simple Java application that can be used as an integral calculator software. Click on the button Integral. Then enter the function and the values of upper limit and lower limit of integral. Click on Ok and then press Enter. The value is calculated and displayed on your PC screen. This Integral Calculator can also be used to calculate derivatives, tangents, GCD, and solve system of linear equations. MACE is a simple freeware that can be used as an integral calculator. It is quite simple and easy to use integral calculator. Browse to the option Differential Calculus. Click on the Integral button and enter the equation for which you want the value to be solved. Specify the upper limit, and lower limit for the integration. Click on OK button and then “=” button to display the result of the provided equation. It can also be used to calculate different values, like: curve sketching, derivatives, extrema, inflexion points, normal, period of function, symmetry, tangents, and zeroes. DeadLine is a simple freeware that can be used as an Integral calculator. This integral calculator freeware can solve even complex equations. Enter the equation for which you want to find out the integral value. After you enter the equation, a graph is drawn and the information about the roots is displayed. Enter the Start and End points of the domain after which you get the value of the integral. It can also be used as a derivative calculator. Euler Math Toolbox is a freeware that is essentially a suite of math tools. One of the features that it provides is option to do integration. In order to use this software, you need to type some commands and therefore you need to have a basic idea of the commands to be used. Go to the Tutorial webpage to know about the commands. There are different types of methods that are employed for integration solving: Gauss, Gauss5, Romberg, Simpson, Adaptiveint, etc. Different methods require different parameters and so one needs to be proficient in using this software to get best results in the fastest time interval. Algorithms providing higher accuracy take some extra time, while others require a bit less time. So one needs to have an understanding about different algorithms and different methods used in solving integrals. It can also be used to solve equations and differential equations. Octave is a bit advanced mathematics software that can be used as integral calculator. In order to use this, you need to know the commands and have some basic idea of how to use it. Here you have to type the commands in order to perform integral calculations and then results are displayed. You can make use of different algorithms and different methods in order to evaluate the integral. It can also be used as a calculus solver with the option of derivative calculator and differential equation solver. 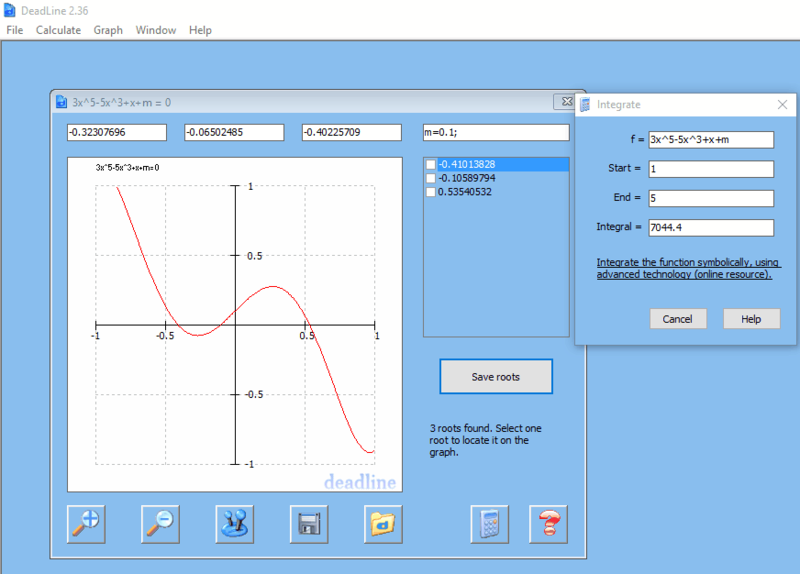 ZGrapher is a simple freeware that can be used to solve definite integrals and differential equations. It is quite simple and easy to use, and you have to just enter the equation for which you want to solve the integrals. In order to do that, you have to simply enter the equation, after which its graph is displayed. Then browse to Calculus> Integration. Enter the range between which you want the values to be calculated. Enter the parameters, like: integration of absolute value (square), minimum, maximum, and number of integration steps. Then on clicking the calculate button, integration is performed and answer is displayed. This integral calculator also works as an integral solver that can be used to solve integrals. It also features some other calculus solver properties, like: derivative calculator, function calculator, tangent and normal calculator, and regression calculator. Limited Integration is a simple freeware that can be used as integration calculator. Different integrals can be solved using this integral calculator, and here you can calculate area integrals, length integrals, surface integrals, and volume integrals. It is quite simple and easy to use. You can also set the accuracy level while solving definite integrals. Click on Enter Function button and enter the function that you want to integrate. Enter the begin and end values. Click on the Integrate button and the result of integration is displayed. Click on the buttons Area, Length, Surface, Volume(1), and Volume(2) for which you want to calculate the values. 2 different equation input options are available from the options: Selective and Free Input. Accuracy option can be set to either High, Medium, Low, Sensitive, or Custom.